In its Rome Plant, Cipriani® designs and produces both generating sets and tower lights, suitable for any need. Always attentive to product innovation and industrial research, our company guarantees highly customizable machines with compact dimensions, as well as a great attention to noise dejection (up to 50 dba). Our generator sets are conceive to ensure increased machine autonomy, without using additional reserves. Indeed, they are equipped with weed pumps with a daily capacity of up to 48 hours of autonomy. All our generators are equipped with electronic control units designed to be managed and monitored remotely with dedicated IP and through its own LAN. 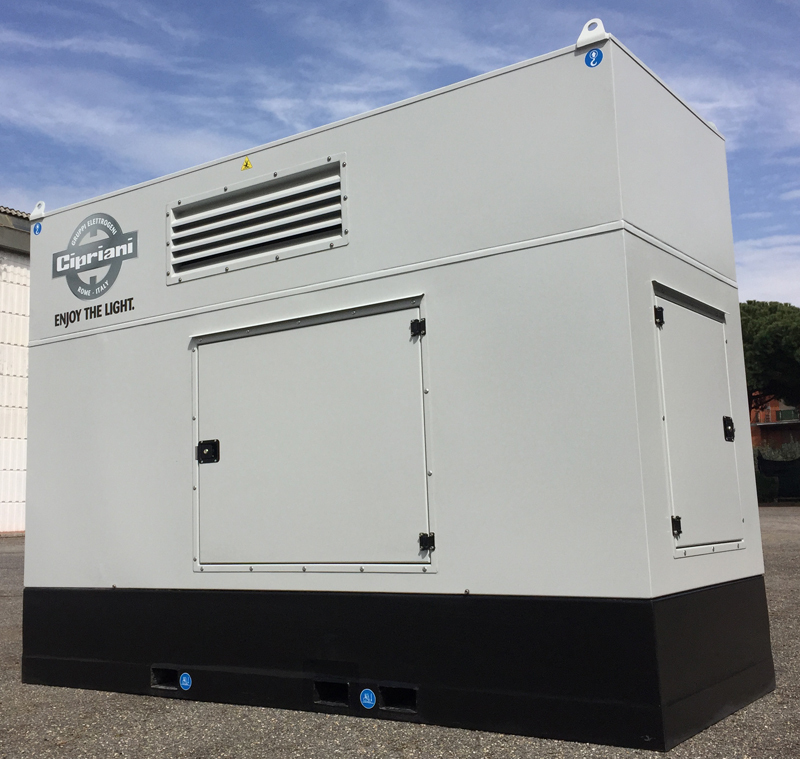 Cipriani® generators, well known for being reliable and guaranteed, can be customized according to customer needs. Cipriani® experienced staff will advise you and assist you in the selection and personalization of generators. Cipriani® generators are compliant with all European regulations and they are made available with all the necessary documentation certifyng they respond to all security and administrative law requirements.